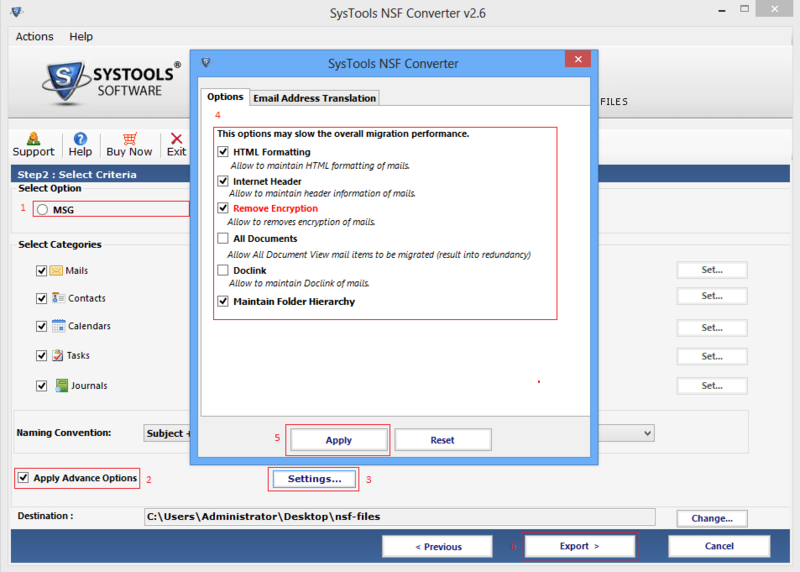 To observe the performance and functionality offered by the product, firstly preview the working screenshots or online conversion video. 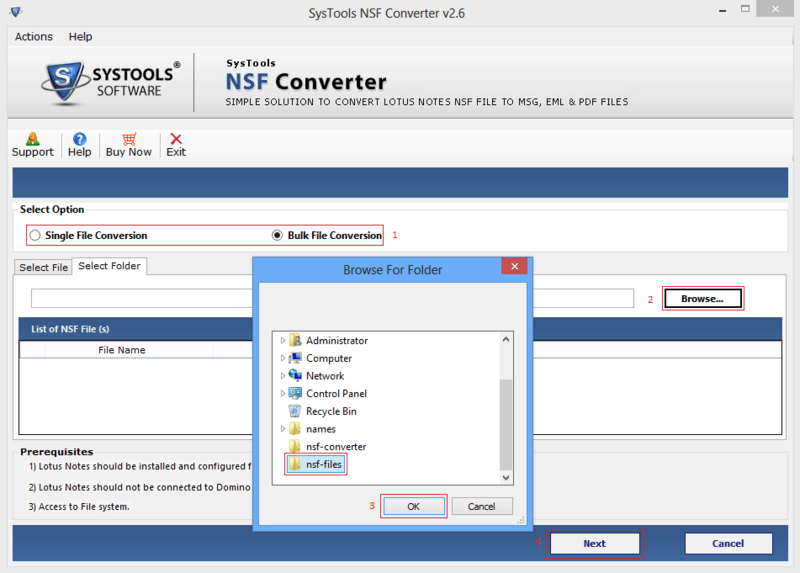 It gives an overview about the product that how simply users can convert their data in simple manner. Initially start by downloading the Demo edition of software and run it. 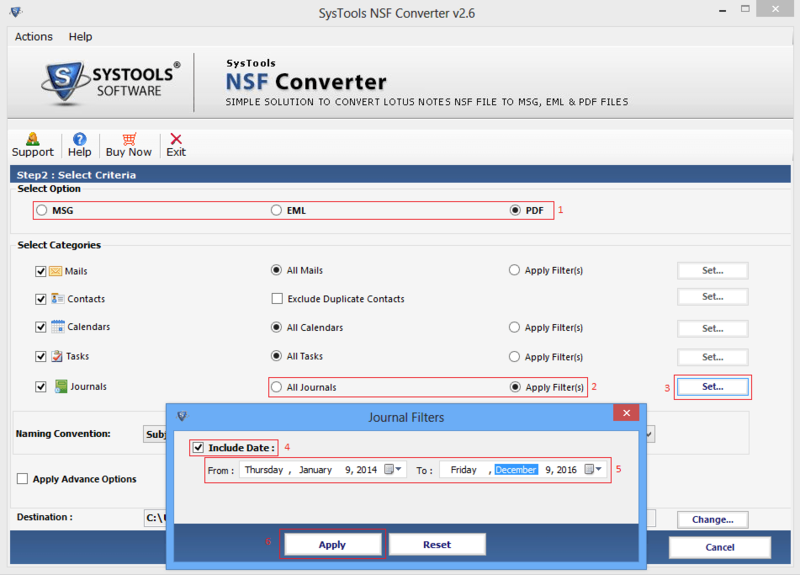 The first screen appears as shown below click on browse button to select NSF file. 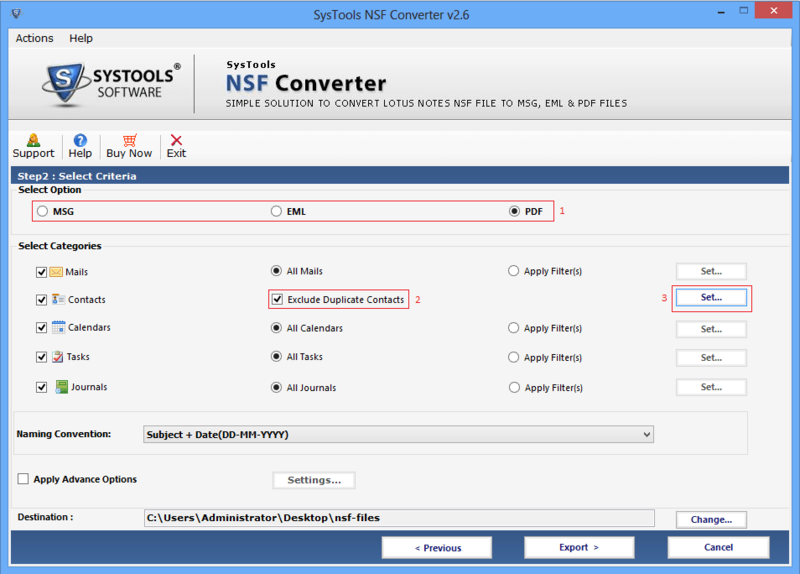 Next screen prompt users to give the location where NSF file is saved. 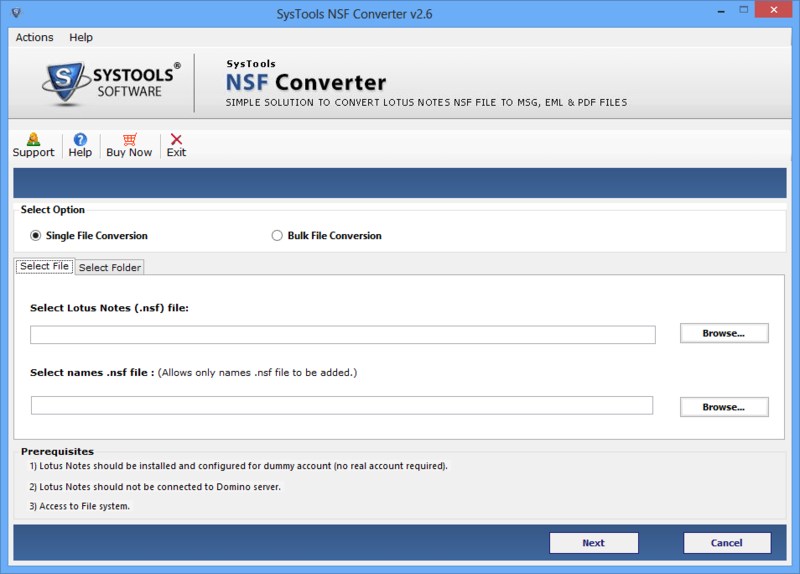 Select the appropriate location and click on Open to load the NSF file in Software. 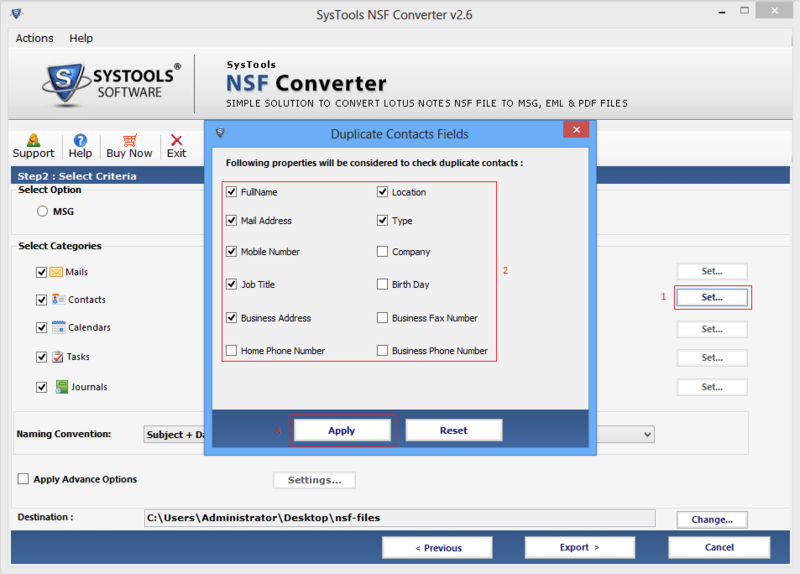 Now Browse names.nsf file separately, so if you want to convert contact. Click on Next button. 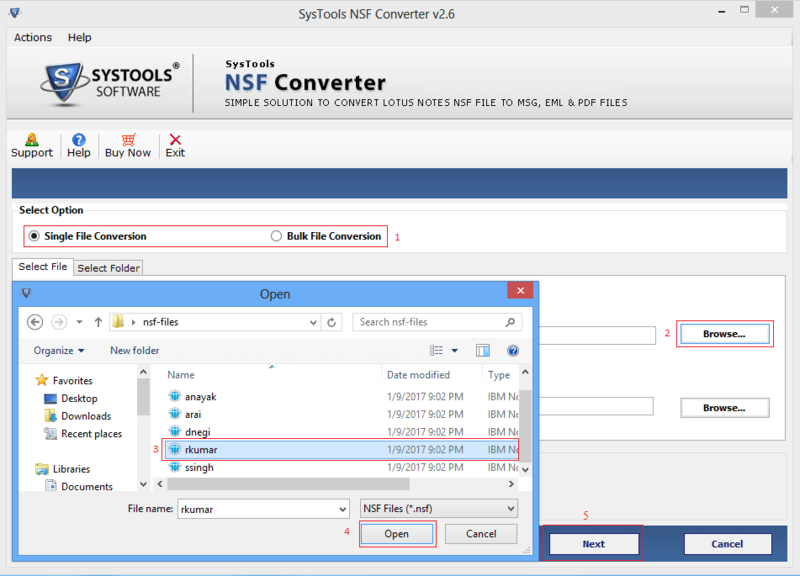 If you want to convert files in bulk then go through bulk file conversion option by clicking on browse button. Click on Net button. 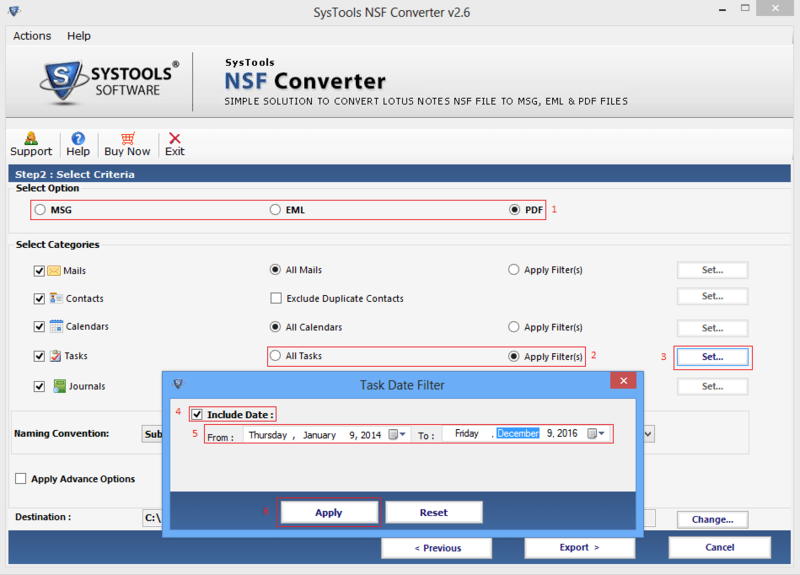 You can also choose the number of NSF files which you want to convert if you choose bulk conversion option. 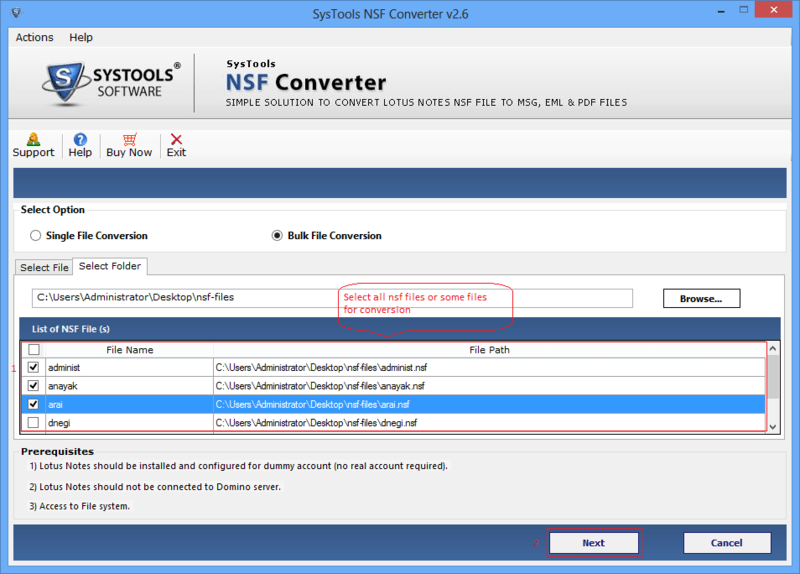 Now a specific criteria is provided to choose the specific file format EML, MSG or PDF. 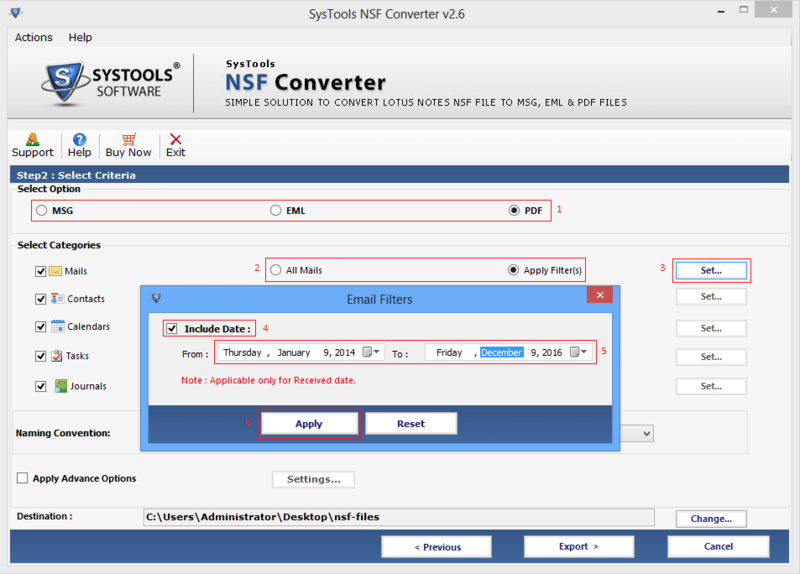 You can easily apply include data filter while selecting mails from the select criteria. 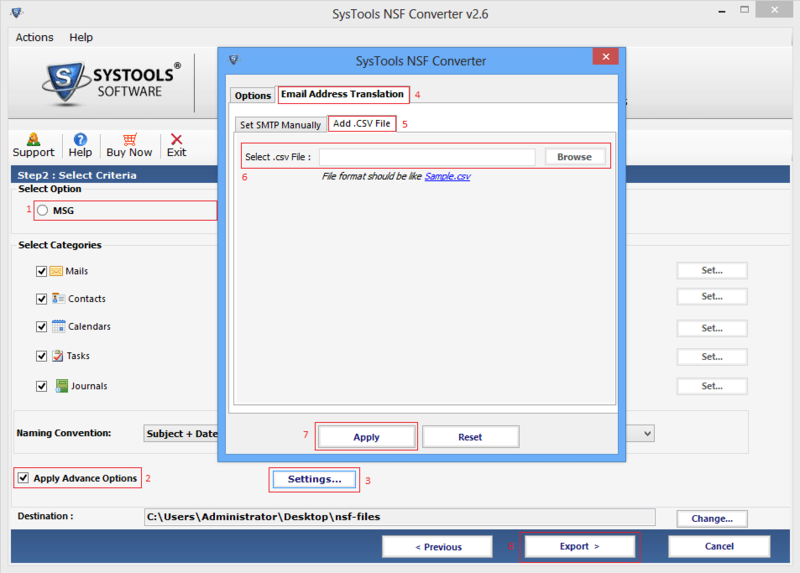 Multiple fields are available in which contacts like name, mail address etc. 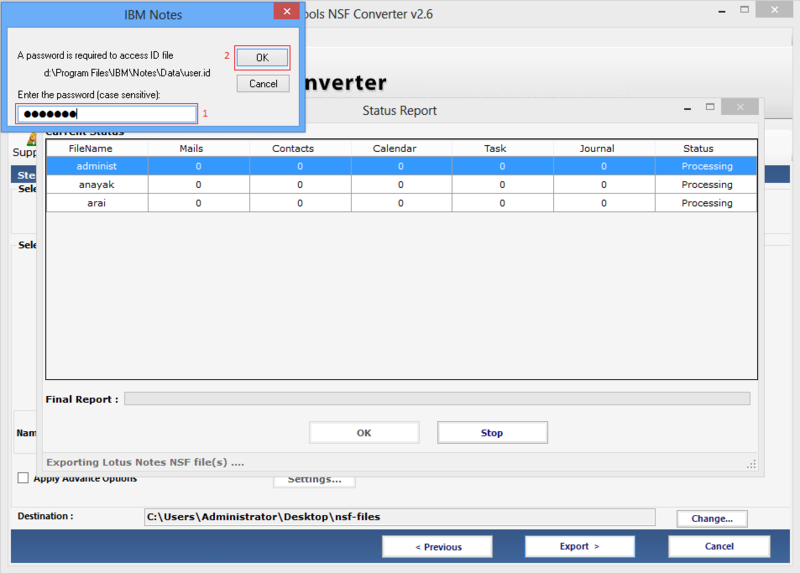 You can also choose the categories to filter the duplicate contacts. 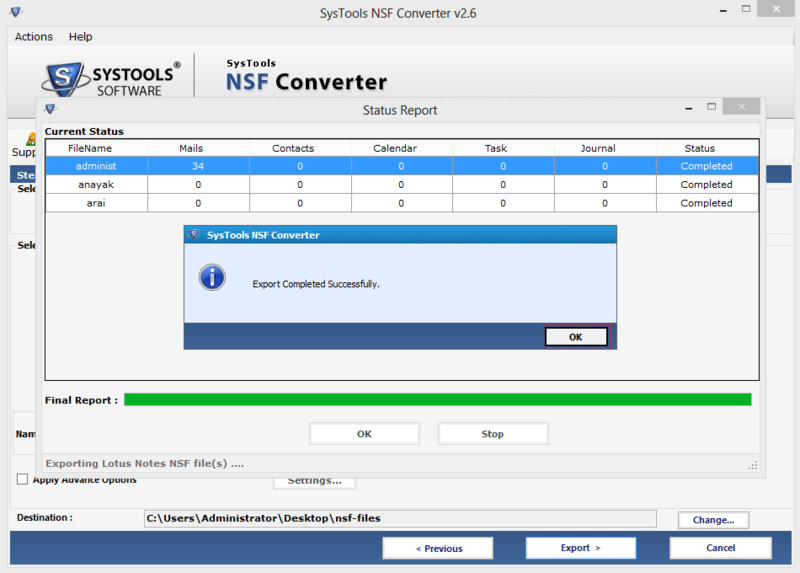 In the Next screen various fields are available i.e. calenders, contacts, tasks and journals. 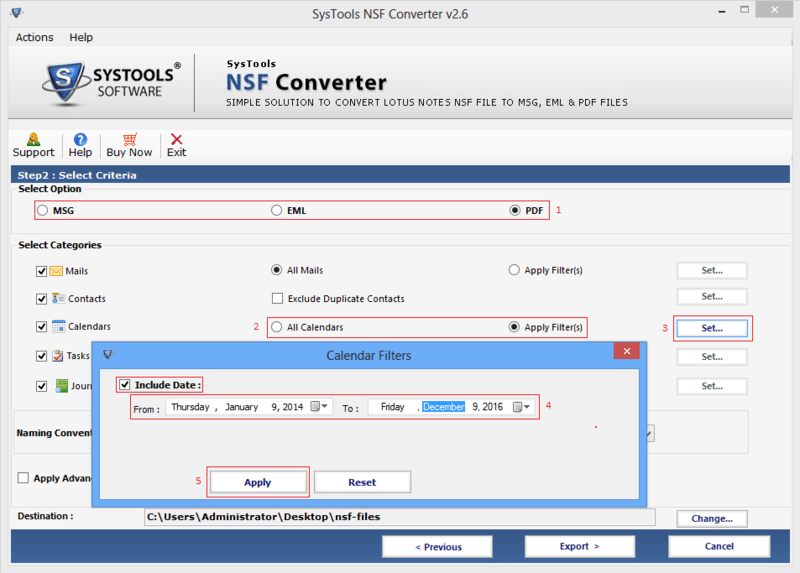 Apply Advance option and also apply HTML formatting, Internet header, dock links and remove encryption all documents from the file formats from the setting of advance options. The another one option is applying email option translation from the advance setting so you can set SMTP manually. To access the ID file, Now enter the Password. 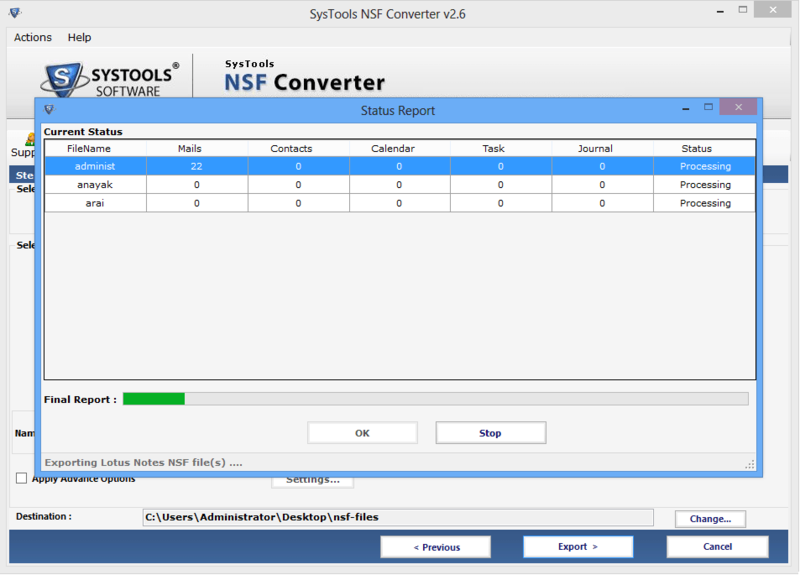 The progress report with current status and final report will also be displayed on the screen. 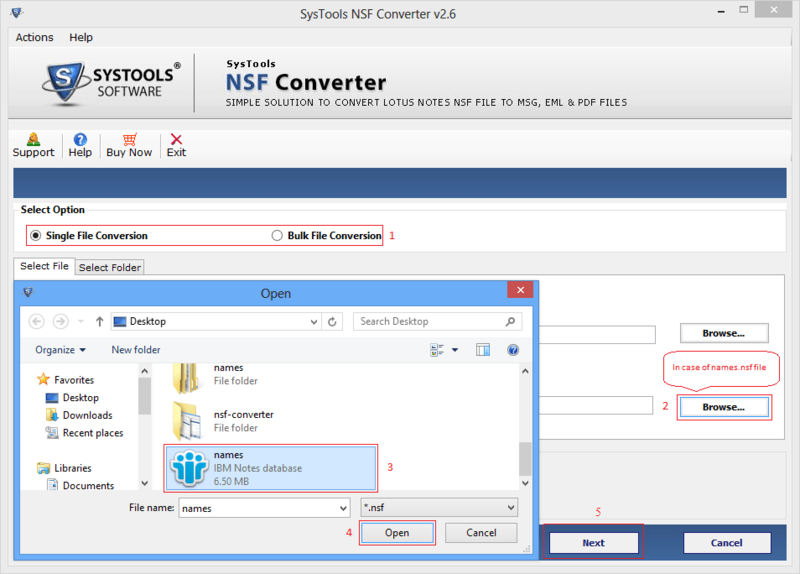 At last the screen shows the successful conversion message of NSF files and saved location of PDF file.